“Hemp oil” is a term that is grossly misunderstood in the circles of health-conscious people. Before we dive deeper into the comparison between hemp oil and cannabis oil, let us clear the air on the biggest misconception regarding these two. With that being said, no, hemp oil is not an illegal “drug” and it does not have mind-altering properties like cannabis oil or hashish oil. Hemp oil is a nutritional oil made out of hemp seeds. Hemp seeds are some of the most versatile and nutritious seeds known to man, hence offering tremendous health benefits if consumed. Cannabis oil, on the other hand, is an oil made from a specific part of the “Cannabis Sativa” plant which has higher concentrations of particular molecules catering to triggering healthy responses in the human body. For example, cannabis oil is usually classified into two products – CBD oil and THC oil. CBD oil is the legal health supplement which provides all the health benefits of consuming cannabis in a concentrated form by extracting only the cannabidoids responsible for those biological effects – but without the mind-altering effects. THC oil, however, is the one with the biggest concentration of THC, hence offering the most potent “high” for its users without too much focus on the health-inducing cannabinoids. Health Canada can beautifully express the difference between these two as well as the common ground they share. They state that hemp is defined as a product of the “cannabis sativa” plant which contains less than 0.3% THC molecules. THC is the molecule which produces the traditional “high” associated with consuming mind-altering marijuana. Thus, due to its very low concentration in THC, hemp does not contain any psychoactive compounds. The U.S. Law states that “hemp” is any part of the “cannabis sativa” plant which contains no psychoactive compounds. Did you get the gist of it yet? Hemp oil and cannabis oil are made from the same plant, which is Cannabis Sativa (also known as hemp). However, this one plant has many different components to it – each one with its unique biochemical structure, hence with a different effect on the human body. It is important to understand that although they are made from the same plant, the products made from it are completely different and they fall under different laws altogether. It is not the plant itself which is illegal (Cannabis Sativa, that is) but various parts of it which can be used to produce illegal products such as cannabis oil, hashish oil and others which would have a high concentration of THC, hence promoting a strong psychoactive high in its users. CBD oil (one of the “cannabis oils”) is a legal product which has been proven to have positive effects for individuals suffering from anxiety, depression, OCD, cancer, MS and many other health disorders. THC oil is the “illegal” product of “cannabis sativa” (which is similar to hashish oil as well, also known as “hash oil”). 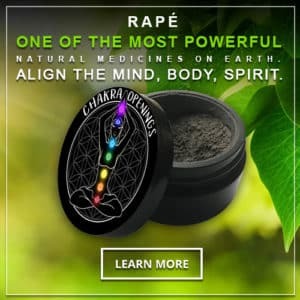 This product focuses on delivering a mind-altering high to its users. The concentration of CBD cannabinoids is lower but the health effects have not been extensively researched yet. As you can see, it is quite easy to become confused regarding hemp, marijuana and the legality of all these products. Although hemp and marijuana are one and the same plant, the final products are very different because they are made from different parts of the same plant. If you would love to boost your health and vitality by eating a delicious and nourishing oil, go ahead and give hemp oil a try. You will not be disappointed – and hopefully you will not need any other hemp products either. If you need a legal and effective way to naturally treat many chronic health conditions, then CBD hemp oil is the right choice for you.